The DAILY PAPER posted a well done summary Thursday of the various short circuits experienced by an Eagle firm seeking to build a “waste-to-energy” facility at the county dump. Cynthia Sewell– publicly cited by Commish Sharon Ullman for her award winning reporting on the issue–told readers Dynamis and its CEO, Lloyd Mahaffey have refused to disclose any proof of financial backing for the proposed facility at the Ada County landfill. Sewell also confirms what the GUARDIAN has written over the past two years with regard to Mahaffey’s dodging questions from critics, tax debt in Boise County, and lack of performance on various projects that are “in the works or underway.” In addition to burning trash, the facility seeks to burn tires, claiming the super heated proprietary technology will eliminate concerns about emissions. Critics are skeptical. Ullman is scrambling to make it all come together because she was instrumental in delivering $2 million in public money to Dynamis. It is unclear exactly WHAT the $2 million purchased if anything. Dynamis has become the focal point for the upcoming May 15 primary election. The GUARDIAN feels it is time for Dynamis to “put up or shut up” with regard to financing. Ada County politicos have failed to obtain any proof of financial ability, relying instead upon promises and statements from a guy with a public record of deceptive and evasive statements and a history of non-payment of taxes. We first QUESTIONED THE DEAL in July 2010 and the concerns are unabated. Dynamis claims to have plans to build several plants in several locations around the world. My question is: Why did the Commissioners pay $2M for Dynamis to develop “plans” when the plans should have already been prepared for other places and merely duplicated instead of starting from scratch, as appears to be the case? Something is smelly and I don’t think it is the garbage. I took the time to read Sharon’s blog on this topic. Wished she had the guts to respond on this site where she can not control the comments. Probably why there were no comments on her blog, she is still waiting for a favorable one. It bothers me when politicians, like sharon, distinguish tax funds from enterprise revenue funds. She is justifying spending $2M of County money differently than if it were tax revenue. County funds, regardles of the source, are the citizens funds and should be spent with the same restrictions and concerns as tax payer funds. I appreciatte Sharon’s efforts to not raise taxes in the last few years, I have not had a pay increase for a few years and have seen my quality of life slowly erode. I have seen many of these deals where companies offer to build a great facility and ask the public to front the design and planning fees. County should not have signed any contract without another contract that garunteed delivery of the facility and financial performance back to the county. Should have been a performance based contract, not just a $2M set of pretty plans to put on the shelf. Bottom Line: It could be a good deal if it works out, but I believe Sharon has failed to make the case, and the procurment process, while maybe not ilegal, does not demonstrate a high standard of ethics and transparency. The skepticism of this deal is entirely appropriate. And Dave, thanks for staying on this and for calling (what I believe is) the bluff of Dynamis principles. You’ve made another big contribution under the “watchdog” category. Did they get an RFP from MR. Mahaffey? If they did it should spell out who will do what and at what cost. I am also interested in what the loading to pollution in the air auality of this valley. At certain times we can all see the air we get to breathe and it ain’t pretty. What will this project do for air quality? These and many more questions have been asked about the Dynamis deal. Sharon Ullman stated the money would be returned within 6 months – that was 18 months ago. On her blog she side steps the question with a slight of hand move – Look at the money we saved over here and don’t ask about the 2 million. Dynamis and Sharon Ullman say the plans (if they exist) are site-specific. I guess we have different garbage here in Idaho. If you do some digging into Dynamis you’ll find that the top officers of the company owe back taxes to another county to the tune of $400,000. Additionally, it doesn’t seem like they have ever actually built anything. What is wrong here? How can they get away with spending $2 million taxpayer dollars for something we don’t need. People better vote them out of there. With the economy the way it is … Can somebody cut their pay until they undo this or pay back the $2M? Given the track record of some of the principles involved I think an appropriate question to ask County Commissioners is How much liability insurance does the county have? I seem to recall that Boise County had to have some special legislation to address a problem by the last legislature. Has Sharon Ullman not heard of the Bujack fiasco? This deal has so many red flags. This needs to be stopped now. This dynamis issue with Sharon Ullman’s horrific decision making is awful. I can not believe this woman is a commissioner. I also looked at her own special website. Go figure. Another issue she brought up is her great idea for smoke free employees and she points out all the harmful effects from smoking. Does she not know that obesity is another VERY harmful health problem. Does she want to eliminate them also because the last time I looked, she is about 50 pounds overweight. I guess healthy guidelines do not apply to her. Gary Rainey, the Sheriff, also has this ridiculous rule while MANY of his staff are also overweight. And get this, he states it is OK to chew tobacco. I’m sorry I might be a little off track, but these county guidelines are weird. Can we please get some new people in office this year and try to get our 2 million dollars back. As a taxpayer, I am very concerned how the county spends our money and decides who gets a job and who does not get a job. Ulman’s website states “…we have spent $2 million to purchase site-specific plans…” I’d sure like to see those plans. She also states…”Dynamis’ engineers have taken what existed and improved upon it.”… This implies that Dynamis has engineers on staff or a contract with an engineering firm. I’d sure like to know who he/she/they are. Hey Pablo, good insight. They will probably use our money to bail out of their tax debts. I think it is time that the taxpayers get answers. I am close to situation and personally know some of the personalities involved. I think Sharon Ullman is sticking with a bad decision because admitting to an error would be a costly political mistake. I work inside the solid waste industry and can confidently state that this technology lies outside of the accepted and proven methods. I understand that we have to be open to new ideas but at the same time we need to be critical of how new ideas are implemented. I feel that a large scale trial of this technology in the Boise foothills funded in part by public money is a bad move. If allowed to go forward it should be sited in a more appropriate location, with more proven and tested technology and with private funds or more transparency if public funds are used. Dave, thanks for your attention and time spent on this issue, you are right on target. …we are going through the 350 page “Request for pre permit construction approval application Dynamis Energy LLC.” For this, $2 million was paid? Astounding! Some cut/paste of others’ verbiage, copies of piece-meal brochures (some are duplicates, so we are pulling suplicates out) Evergreen Engineering out of Eugene Oregeon actually only entity with any sort of experience…but not specific to this. They do have a computer that does renderings….oooooh. 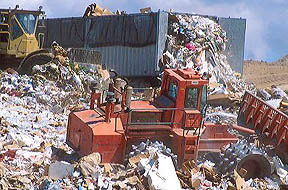 There is a tipping fee for waste to go to the Dynamis project. If a truck doesn’t want to pay this, can they opt to simply dump in the landfill, leaving Dynamis without fuel?